It’s getting cold, and if you haven’t noticed that I’m guessing you’re on holiday somewhere not cold. 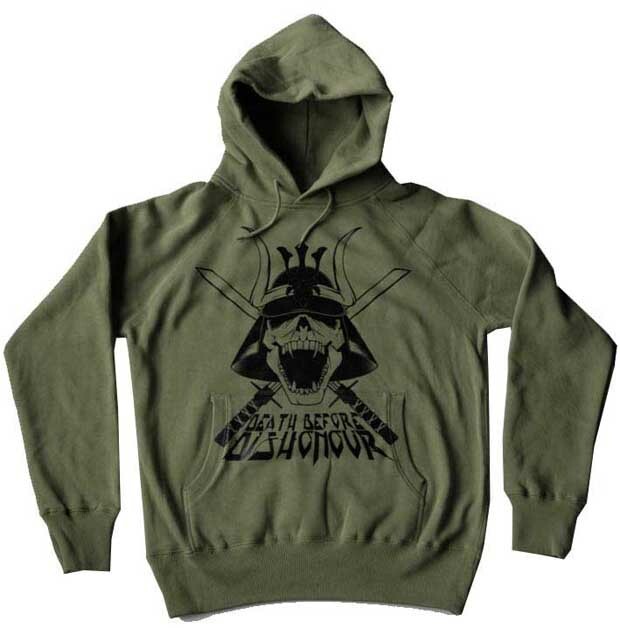 In order to prevent you from freezing in the viscous British Winter, or on a more minor note catching a cold, Death Before Dishonour have whipped up some warm winter wear for you. 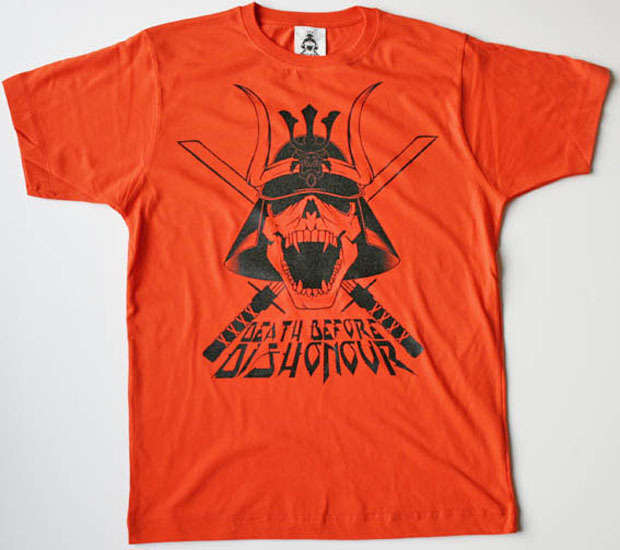 This new collection is based on the Death Before Dishonour samurai logo, except this time it’s been printed in high gloss. The collection consists of a hoody and jumper made from 80% and 20% poly brushback, and a tee made from 100% cotton and a slightly larger fit than previous tees. Each item is very very limited, as is only 10 pieces per colour!! 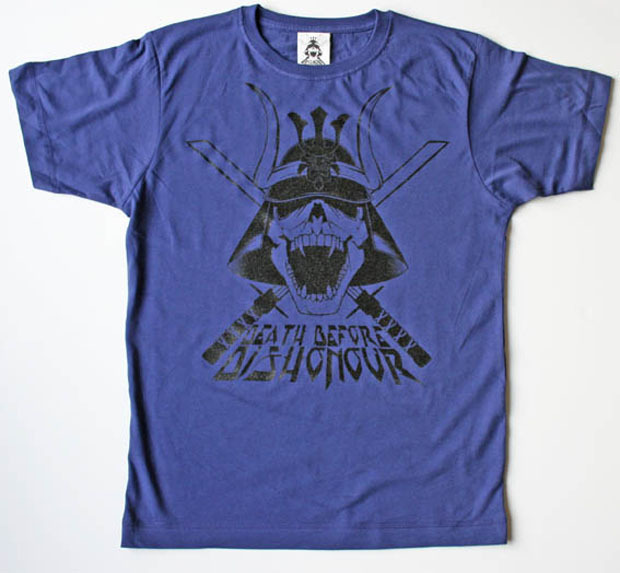 Snap them up from the Death Before Dishonour online store now before they sell out!